which relate to an audit strategy, i.e. where the communications process and framework is under review. These examples could easily be used as a high level outline, or be further developed into a detailed communications strategy by adding in audiences objectives, key messages and a high level timeline. An internal communication strategy will normally cover a 12, 6 or possibly 3 month period. 3 and 6 month strategies tend to be for specific topics, such as contained projects, while 12 month strategies tend to be for a wider departmental/company messages and large scale change projects/programmes. 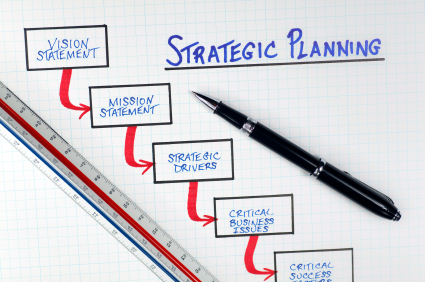 Every strategy should have a clear objective and/or several key goals that it wishes to achieve over the allotted time span of the strategy. The objective and goals provide the focus and backbone to the communication strategy. The objective and goals should all be SMART – Specific, Measurable, Articulate, Relevant and Time-bound. The communication approach is the framework of how you will deliver your strategy. It provides the focus for where you will need to deliver your tactics to best advantage. The methodology is the key communications principles and practice that the strategy will use to deliver its communication approach. Whilst it is not necessary to include a methodology in your strategy, it can be useful to ensure that the key communications principles and practice are understood and followed. There are a wide variety of communication channels that can be employed for internal communications. The channels available will vary from company to company. When selecting the channels for your strategy you should consider which are the most appropriate to meet your strategy objective and goals. We will employ both passive and interactive communication channels to deliver our communication tactics. NB these channels will also need to be evaluated for effectiveness and monitored should any changes be made. This entry was posted in Comms Theory, My Work and tagged comms, comms theory, communications, communications strategy, communications theory, communicator, communicators, Creating a basic internal communications strategy, example communications strategy, example internal communications strategy, example strategy, internal comms, internal comms strategy, internal communications strategy, internal communications theory, internal communicator, internal communicators, ruth weal, strategy, wealie. Bookmark the permalink.